Britannia NutriChoice launched a new hollywood trailer-like digital film titled When Oats Met Chocolate for the new NutriChoice Oats Chocolate and Almond Cookies. The film was conceptualised and produced by the Bangalore branch of J Walter Thompson. Britannia Nutrichoice came up with a new digital film named When Oats Met Chocolate in a hollywood style for the launch of its all new product, NutriChoice Oats Chocolate and Almond Cookies. The animated trailer was conceptualised by J Walter Thompson Bangalore. “A good choice can go a long way. But very often, the first step towards eating healthy is the hardest one to take. Since its inception two years back, NutriChoice Oats Cookies has constantly pushed the boundaries of taste to make the consumption of healthy foods more palatable. People have never been able to envision seemingly opposite ingredients like Oats and Chocolate coming together in product. The all-new Oats cookies, now with delicious chocolate and wholesome almonds is the perfect combination of taste and health, and a great reason to start having Oats. This product is a testament to Britannia’s strong innovation-led business. ” said Ali Harris Shere, VP – Marketing, Britannia Industries Limited. “Great love stories are often made of unusual pairings; one such pairing is that of Oats and Chocolate. Together, the ingredients create something better than each of them individually. 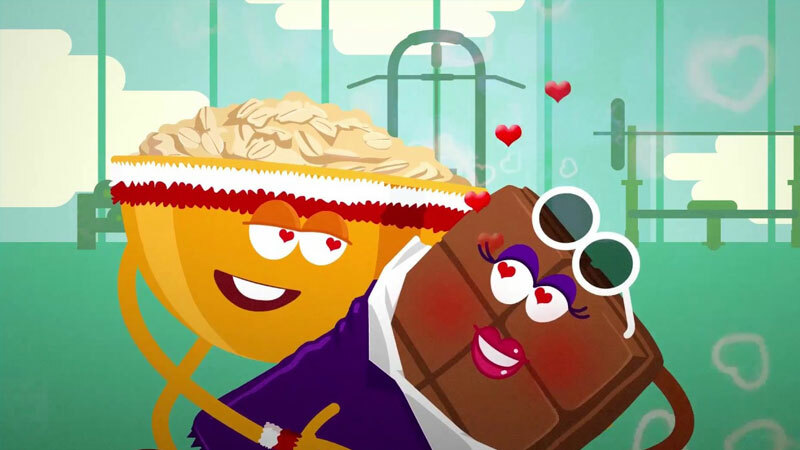 With the magic that ensued between the two, it seemed only fitting to unfold their romance through snackable content as addictive as them!” said Priya Shivakumar, Senior Vice President and Executive Creative Director, J Walter Thompson Bangalore.